Back on vinyl for the first time in 18 years! The thrash-metal legends Megadeth have announced the imminent reissues of 2001's The World Needs a Hero and 2004's The System Has Failed via BMG. Neither album, originally released by Sanctuary Records, have been available on wax in the United States. 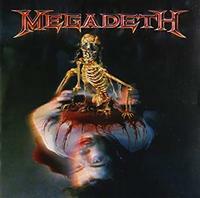 The World Needs A Hero was touted at the time as Megadeth's return to their thrashier roots after a few albums that found the band slowing down their sound and aiming for a more mainstream rock audience. Co-produced by the band's leader Dave Mustaine and Bill Kennedy, the disc landed at No. 16 on the Billboard 200 chart at the time of its release. The album has been remastered for this re-release by Ted Jensen.